Tinker Bell & The Legend Of The NeverBeast: Rosario Dawson Cast As ‘Nyx’ — Watch Here!! Actress Rosario Dawson lends her voice as a fiery and courageous fairy, “Nyx”, in the all-new Disney Fairies adventure, “Tinker Bell and the Legend of the NeverBeast”, out on Blu-ray™ March 3, 2015. Nyx is a Scout Fairy charged with protecting the luscious land of Pixie Hollow and all of the fairies who reside there. A true professional who takes her job very seriously—maybe a little too seriously—allowing facts and logic to guide her every move. Driven to succeed, Nyx is often willing to let compassion take a back seat. The Scout Fairies are a group of fearless fairies who protect the residents of Pixie Hollow. They are agile and athletic with a keen ability to spot trouble before it gets out of control. This heartwarming story explores the ancient myth of a mysterious creature whose distant roar sparks the curiosity of Tinker Bell’s friend Fawn, an animal fairy who’s not afraid to break the rules to rescue the NeverBeast before time runs out. The film also features the voices of Ginnifer Goodwin (Fawn), Mae Whitman (Tinker Bell), Megan Hilty (Rosetta), Lucy Liu (Silvermist), Raven Symone (Iradessa), Angelica Huston (QueenClarion) and is directed by Steve Loter (“Kim Possible”) and produced by Makul Wigert (“Secret of the Wings”). 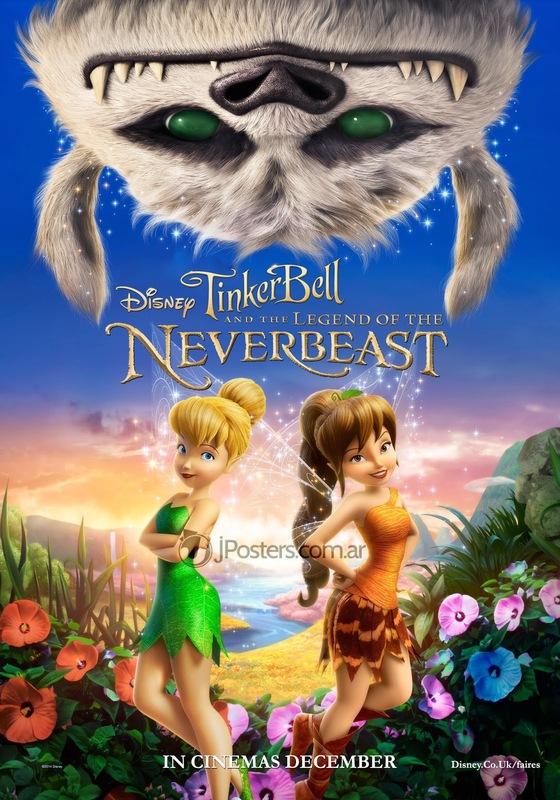 Be sure to watch the all new trailer for Tinker Bell and The legend of The NeverBeast below! !